Did you know that August 7th is National Lighthouse Day? Congress first designated this day back on August 7th, 1989. Some lighthouses listed below will have free or special events this August 7th. Lighthouses have played an important nautical role in the history of our country. They protect our coasts, provide safe passage and guide sailors & mariners. Take some time to visit a New Jersey Lighthouse, 11 of which are open to the public. Great experience for the whole family! 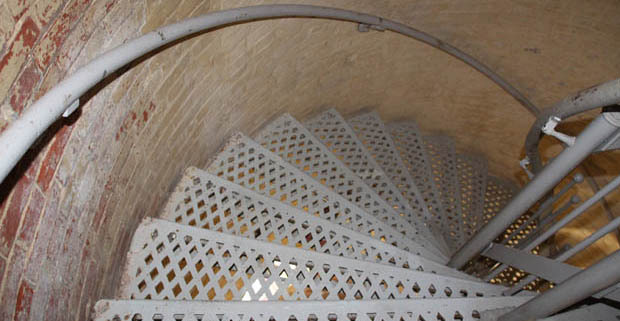 Feel the history of Atlantic City as you climb the 228 steps of this 150 year old lighthouse. Tallest in the state of New Jersey and 3rd tallest in the country. Great views of the Atlantic City skyline and holds the original first order Fresnel Lens. Open year round. $ to Climb. 31 S. Rhode Island Ave, Atlantic City, 609-449-1360. 217 steps to the light keepers catwalk at this lighthouse. Originally lit in 1859. Lantern light is visible for 22 nautical miles. On top, see spectacular views of Island Beach, Barnegat Bay, Long Beach Island and the Atlantic Ocean. Learn lighthouse and maritime history next door at Interpretive Center. $ to Climb. Barnegat Lighthouse State Park, Long Beach Island in Ocean County, 609-494-2016. Have energy? Climb 199 steps to the top of this 1859 lighthouse. Provides scenic views of the Jersey Cape and Delaware Bay. Visitors Orientation Center and Museum Shop also available. $ to Climb. Cape May Point State Park, 215 Lighthouse Ave, Cape May Point State Park, 609-884-5404. Originally built in 1849. Lighthouse and Gift Shop is open 1st and 3rd weekend of each month. Lighthouse has new lantern and roof. $ Admission. 10 Lighthouse Road, Heislerville, 856-785-0349. Open for climbing only on 3rd Sunday of the month from 1PM-4PM. FREE to climb and must be 13 years and older. Located at the Supawna Meadows National Wildlife Refuge. Views of wildlife refuge and Delaware River. 197 Lighthouse Rd, Pennsville, 609-463-0994. Working lighthouse and museum. Learn history of Hereford and life of lighthouse keeper. Guided and self guided tours. 69 steps to lantern room (closed to public). Visitors only go up to 56 steps. Light goes on automatically when dark. $ Admission. 111 North Central Avenue, North Wildwood, 609-522-4520. 250 year old lighthouse designated a National Historical Landmark. Still in use today and currently run by the National Park Service. Tours offered 1PM-4:30PM. Must be 48 inches tall to climb. Lighthouse Keepers Quarters and Visitors Center located next door to lighthouse. 128 South Hartshorne Drive, Highlands, 732-872-5970. Guided tours of keepers quarters, living quarters and up to the lantern at top of the tower. Tours conducted on Sundays and FREE. Donations appreciated. Ocean Avenue and Beacon Blvd, Sea Girt, 732-974-0514. Steel skeletal structure with 112 steps to lantern. Sits by the banks of the Delaware River. Tours conducted 3rd full weekend of each month. 2nd Street & Mantua Ave, Paulsboro. Reproduction of lighthouse that was once located on Tucker’s Island and fell into the ocean in 1927. This replica lighthouse is located at Tuckerton Seaport. Climb 42 steps to the top of the tower for views of the Seaport and Lake Pohatcong. $ Admission to Seaport. 120 West Main Street, Tuckerton, 609-296-8868. 200 feet above sea level, the current lighthouse overlooks the coastal waters of NJ. Great views of Sandy Hook. There are 2 towers. The South Tower is unlit and The North Tower is lit by a 500 watt bulb. Operates Weds-Sundays. FREE to climb to top. Donations appreciated. Lighthouse Road, Highlands, 732-872-1814.